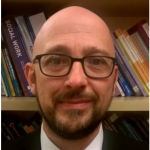 This is a guest blogpost written by Rob Mitchell, Adult Principle Social Worker, Bradford Council. Like many local authorities, Bradford is going through a period of change. We are listening more carefully to people who invite social care into their lives, and focusing more on enabling them to live life how they choose to live it. I reflect on the challenges involved.